Scientists at Harvard Medical School have discovered that a gene that regulates bone and muscle growth may also be involved in brain development and activity in primates, including humans. In particular, this gene appears to be active in areas of the brain involved in cognition and learning. Their finding were published yesterday in Nature. This is a good example of how genes can be used by the evolutionary process for new functions, and, because this particular retooled gene is only found in primates, it suggests that the repurposing occurred in a common ancestor of this clade. Sensory stimuli drive the maturation and function of the mammalian nervous system in part through the activation of gene expression networks that regulate synapse development and plasticity. These networks have primarily been studied in mice, and it is not known whether there are species- or clade-specific activity-regulated genes that control features of brain development and function. Here we use transcriptional profiling of human fetal brain cultures to identify an activity-dependent secreted factor, Osteocrin (OSTN), that is induced by membrane depolarization of human but not mouse neurons. We find that OSTN has been repurposed in primates through the evolutionary acquisition of DNA regulatory elements that bind the activity-regulated transcription factor MEF2. In addition, we demonstrate that OSTN is expressed in primate neocortex and restricts activity-dependent dendritic growth in human neurons. These findings suggest that, in response to sensory input, OSTN regulates features of neuronal structure and function that are unique to primates. Bulent Ataman, Gabriella L. Boulting, David A. Harmin, Marty G. Yang, Mollie Baker-Salisbury, Ee-Lynn Yap, Athar N. Malik, Kevin Mei, Alex A. Rubin, Ivo Spiegel, Ershela Durresi, Nikhil Sharma, Linda S. Hu, Mihovil Pletikos, Eric C. Griffith, Jennifer N. Partlow, Christine R. Stevens, Mazhar Adli, Maria Chahrour, Nenad Sestan, Christopher A. Walsh, Vladimir K. Berezovskii, Margaret S. Livingstone, Michael E. Greenberg. Evolution of Osteocrin as an activity-regulated factor in the primate brain. We have uncovered what we believe is a critical clue into the evolution of the human brain, one that gives us a glimpse into the genetic mechanisms that may account for differences in cognition between mice and humans. Michael Greenberg, the Nathan Marsh Pusey Professor of Neurobiology and chair of the HMS Department of Neurobiology. Lead researcher. The team found that osteocrin, a gene common to all mammals and active in their bones and muscles, is present but switched off in rodent brains. However, it is highly active in the brains of primates, including humans, most notably in the neocortex, the most highly evolved part of the brain and the part involved in sensory perception, spatial reasoning and higher-level thinking and language in humans. In primates, brain development is strongly influenced by sensory experience and social interaction. In short, us primates are good at learning and osteocrin seems to be closely associated with this. The fact that the same genes are present in all cells but some of them are only needed for specialised functions in specialised cells such as those in bone and muscle, means that these genes are free to become part of entirely new processes in other cells. Humans share many genes with rodents and as much as 90 percent of their DNA in some parts of the genome. In this case we see how turning up the expression of the same gene in a different location may precipitate dramatic differences in the function of brain cells. Gabriella Boulting, Neurobiologist at HMS. Co-author. The team believe they have found the link between sensory stimulation and activation of this development-enhancing gene in the form of a DNA 'enhancer'. 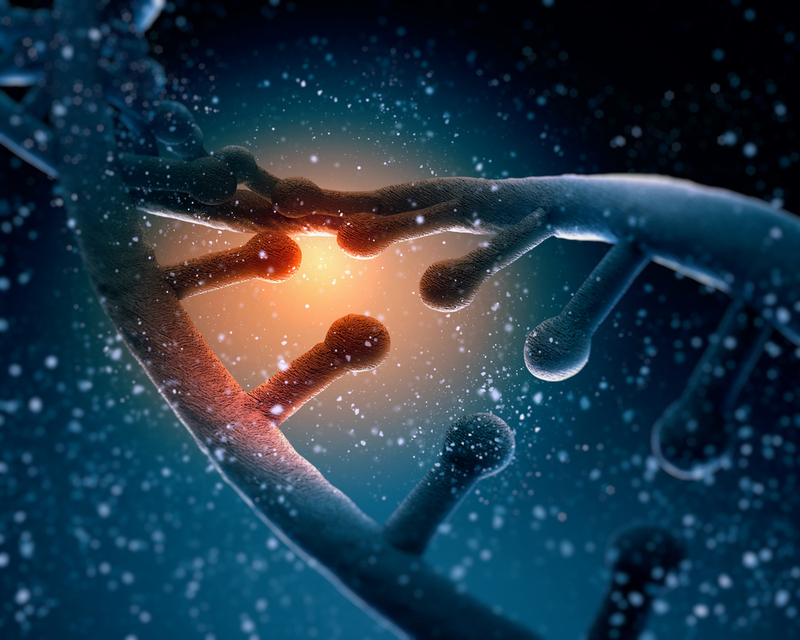 These short lengths of DNA act as switches to turn genes on or off. This particular enhancer is in turn activated by a protein, MEF2. Moreover, mutations in MEF2 are a well-established cause of some types of intellectual disability and neurodevelopmental disorders, further reinforcing the idea that there is a link between osteocrin activity and intellectual development. A creationist would look at these new processes and cite them as examples of 'irreducible complexity', claiming that the entire process must have come into existence, as is and fully functional, therefore it could not have evolved by the gradualism of evolution by natural selection. Examples such as this illustrate that in fact evolution is perfectly capable of producing new and beneficial processes by retooling of pre-existing but redundant genes. The same opportunities are there with accidental gene duplication of course because the original still fulfils the original function whilst the copy is free to mutate and evolve without detriment to the carrier. How the theory of evolution, far from being a science in crisis and about to be overthrown in favour or magic, is actually a fundamental scientific principle and forms the foundation of biomedical science. Why We Atheists Are Hated. We Frighten Them! Those Poor Christians Are Being Persecuted Again! A Newly-Discovered Species of Archaic Humans? Rapid Human Evolution in America! Catholic Church Can Keep Child Abuse Secret!